Say hello to Giganotosaurus, Velociraptor, and Tyrannosaurus. Ready yourself for the deadly horns of Zuniceratops and the razor-sharp tail of Tuojiangosaurus. But above all, be sure to expect the unexpected. Armed with a host of stunning recent discoveries, Keiron Pim reintroduces us to these mind–boggling creatures in mesmerising detail. As we live through a golden age of discovery, the rise and fall of the dinosaur is once again staking its claim as nature’s most spectacular phenomenon. 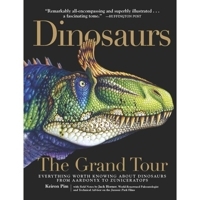 If you think you know the world of dinosaurs, then think again, for it grows stranger and more fascinating all the time. 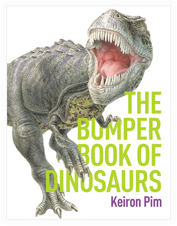 Filled with fun facts and gory details, with ancient history and modern discovery, and with stunning design and illustrated throughout, this book is sure to delight readers of all ages. 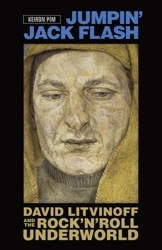 The first published English translation of Meir of Norwich’s poems brings a valuable medieval literary voice to prominence after more than 700 years. 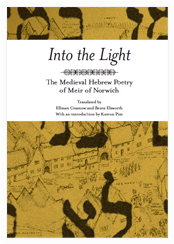 Everything we know about Meir ben Eliahu – his name, his experience as a Jew in 13th–century England, his love of God – comes from the twenty poems in this book, which won the Jarrold New Writing Award at the 2013 Norfolk Arts Awards. For more than 600 years the poems were lost, only to be rediscovered in the late 1800s in the Vatican Library and, in the case of one poem, in a Russian manuscript. Now they have been reinterpreted for today’s readers in a beautiful and atmospheric new translation. Jumpin’ Jack Flash: David Litvinoff and the Rock’n’Roll Underworld is the first book published about David Litvinoff (1928–75), who has been described as ‘one of the great mythic characters of ’60s London’ – outrageous, possessed of a lightning wit and intellect, dangerous to know, always lurking in the shadows as the spotlight shone on his famous friends. Flitting between the worlds of music, art and crime, he exerted a hidden influence that helped create the Kray twins’ legend and Lucian Freud’s reputation as a man never to be crossed; connected the Rolling Stones with London’s dark side; redirected Eric Clapton’s musical career; and shaped the plot of the classic film Performance by revealing his knowledge of the city’s underworld, a decision that put his life in danger. Litvinoff’s determination to live without trace means that his life has always eluded biographers, until now. This extraordinary feat of research entailed 100 interviews over five years, with everyone from Eric Clapton and Marianne Faithfull to James Fox and ‘Mad’ Frankie Fraser: the result is by turns wickedly funny, appalling, revelatory and moving, and epic in its scope as it traces a rogue’s progress at the interface of bohemia and criminality from the early Fifties to the Seventies. 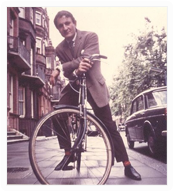 It is also an account of Keiron Pim’s determined pursuit of Litvinoff’s ghost, which took him from London to Wales and Australia in a quest to reveal one of British pop culture’s last great untold stories. Mick Brown, Daily Telegraph, January 9th 2016 (five stars out of five). Andrew Male, Mojo, March 2016 (five stars out of five). Jon Savage, The Guardian, January 19th 2016. Anthony Quinn, Mail on Sunday, January 10th 2016 (four stars out of five). Lisa Verrico, Sunday Times, January 17th 2016. Richard Davenport-Hines, The Guardian, January 28th 2016. Paul Lester, Jewish Chronicle, January 29th 2016. Ludovic Hunter-Tilney, Financial Times, February 6th 2016. Dominic Green, Literary Review, March 2016. David Collard, Times Literary Supplement, March 18th 2016. Ron Jacobs, Counterpunch website, March 18th 2016. Colin MacCabe, New Statesman, August 26th 2016. Find out more about Jumpin' Jack Flash: David Litvinoff and the Rock'n'Roll Underworld.